City, University of London. An earlier version of the article was presented at a conference at University College London. 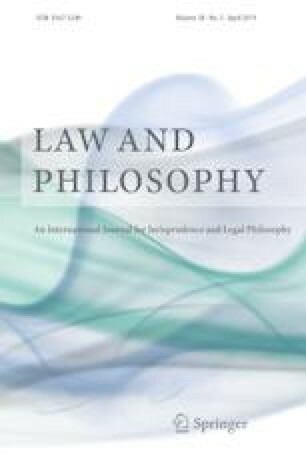 I am grateful to members of the audience, and to an anonymous reviewer for Law and Philosophy, for comments and suggestions.